This week’s Friday Five theme is the holiday wish list. Since I’ve been publishing a few different gift guides over the past couple of weeks, I’ve already shared a lot of great gift ideas that you can find here (generic but thoughtful gifts), here (gifts for the person who has everything), here (gifts for foodies) and here (gifts all found online). I originally was writing a post about material things that I’d love to receive this year but felt really compelled to switch it up. This year, I’d like to share five things that are on my wish list that can’t be purchased. Yes, it’s a little bit cheesy, but it is heartfelt. Per usual, I’m linking up with my girls Cynthia and Mar for the #Friday Five on this holiday weekend. You can read our linkup rules here. Have a great weekend! Compassion. Right now there is so much negativity being spread that I would love to see folks exercise some compassion for those around us. I would love for people to remember that truly, there isn’t an “other.” We are all people sharing space on this planet. Education. I firmly believe that some of the lack of compassion that is being seen is a direct result of lack of education. People often fear what they don’t understand and not understanding is often due to a lack of education and exposure. Education is a problem everywhere, but there are some serious issues in education in the United States and my hope and prayer is that we make positive strides here. As I write this the President is preparing to sign the new education bill, the Every Student Succeeds Act. This bill is the result of an overhaul of No Child Left Behind, which was, essentially, a huge failure. I don’t pretend to be an expert in education policy, however, I’m hopeful that as we move forward we can improve education here in the U.S. and people will choose to continue to educate themselves for their entire lives. We live in a world where you can read multiple accounts of the same story instantly and take those accounts and then analyze them based on what you know and what you read. While no media source is completely unbiased, having the advantage of being able to scrutinize multiple sources is in incredible resource. In this day and age, there really is no reason that we shouldn’t be highly educated. Faith. My faith is a central tenet in my life and the one thing I’m always sure of. I strongly think that everyone should have faith in something that is bigger than themselves. For me, that’s Jesus Christ and the Church. For others, that might be something different and I completely respect that. I just think that having faith in something bigger than oneselves really helps one to see the bigger picture. Peace. Oh man. This is a big one, but you know, part of #3 is believing that anything is possible and I do believe peace is possible. Connection. The holidays is a really lonely time for lots of people and my heart aches for those dealing with loss, loneliness and a sense of sadness during this wondrous season. My wish and prayer this holiday season is that those are feeling this way find some type of connection that helps that through this season. What do you wish for as this year ends? You’re so thoughtful and heartfelt with your list. I feel like a greedy brat with my list now. All of your items are so nice to wish for. If only we could wish those things into existence. Your wish list shows what a selfless person you are, Courtney. The world would be a much better place if everyone wished for these five things. Thanks for the linkup, and I hope you have a great weekend! Thanks Debbie! I’m plenty selfish (working on it), but this list was really on my heart with all that’s going on right now. Great wish list! I feel so bad for those who have lost a loved one during this time of yr. Whether it has been recent or for some time, I don’t think it gets any easier, you just learn to cope with it. But like you said, Surrounding yourself w other loved ones or people that can relate always is comforting. Yes, my heart aches for those who are alone or feel alone this time of year! I love this. Thanks for this post, it’s so nice to read something so thoughtful. Wonderful list! Yes to No. 1, especially! What a nice thoughtful wish list! All great things that we need! Agree with you 100% on all your points, but especially education. I can not comment on the education system in the US because I have been gone for many years, but when I see the amount of ignorance out there, it is a direct link to (lack of) education. Wishing you the best for the holidays ! I think education is important – and learning more about the rest of the world and other religions and cultures. I think one reason it’s so easy to fear “Muslims” is that we don’t know as much about their religion culture as we do about Christianity and Judaism. We can change that! Yes! You are so right that we can change that lack of knowledge so that people aren’t so incredibly fearful. And yeah, we didn’t even talk about this at all! Love it!! This is so well said! I think this is exactly what we need to remember in the midst of all the holiday chaos. Thank you for sharing!! Beautiful list! It’s so important to remember the things like this with that’s going on in the world right now. Have a great weekend! Amen! As a person who has “everything,” I had this type of list in mind, too. Compassion and connection are so important this time of year. Thank you for sharing your wishes. I hope they all come true. I think about these things starting on Thanksgiving. This year I saw a lot of push-back from the Black Friday chaos and stores being closed on both days. 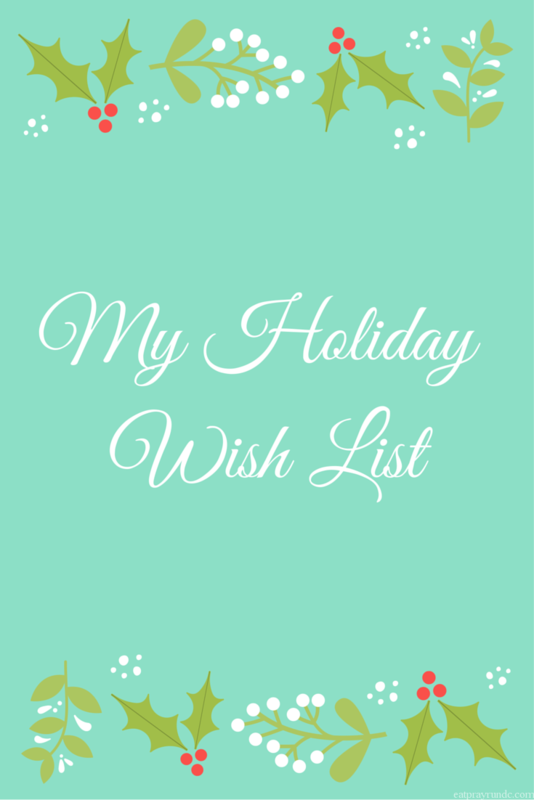 Aww, your wish list is so much less selfish than mine! Lol! We need peace. ASAP. i love this list! wouldn’t it be great if we could all just give up our material gifts for all of these things? i think empathy is something i would i add. studies are showing that an overuse of technology can lead to cognitive deficiencies in areas that promote empathy, and that finding scares me so much, especially as i hear about the increase of negative things in the news. but we can remain hopeful! happy holidays, courtney! love this wish list. every single item on it is amazing. i wasn’t going to participate in this week’s link-up mainly bc i really didn’t feel great about posting a list of things i want — especially when there’s nothing i NEED and i have MORE than enough — but this just might inspire me to do something similar. great list. Yes – make the topic your own and share whatever it is you wish for! What I really wish for right now would make people sad, so we won’t go there. Your list is great — I’m Jewish, so I don’t believe in Jesus as my savior, but yes, I definitely believe in a higher being. As I tell my husband, doesn’t matter if there is one or not; to me it is comforting to believe that there is. Amen sister! Personally my cup runneth over with “things”. It’s peace and kindness and understanding that are priceless to me. Have a great weekend Courtney! This is such a wonderful list! It would be great if we could do something to actually give these things for Christmas. But I guess we can work on spreading peace and compassion on an individual basis. Such great things to wish for and I would include the same things on my list! I love how faith flows over into all of these other wishes. Its the cornerstone. Thanks for sharing your inspiring thoughts, Courtney! What a great list. I work in the education field, and try my best to teach my students about compassion and connection, and to take into consideration not every is as fortunate as they may be. We’ve had several students over the years who have lost loved ones around the holidays, so this time of year is not as joyous for them as it is for others. Sometimes all they need is a hug or to be told they have someone who cares, and seeing them smile is the biggest gift they could give me! That’s so good – what a gift you must be to your students! Thanks for what you do. This is the list we all should be making! Peace for sure. So much peace. The world needs peace in large amounts. You are so thoughtful. What a beautiful list! Meanwhile, mine is full of STUFF! Haha! We could all learn a thing or two from you! OH man, this is a great list and now I feel like a greedy little lady lol with my cheesy list! J/K but I agree with all your wishes here. Thanks for sharing and caring!! I hope you have a wonderful holiday season Courtney! Such a wonderful post Courtney! I think faith would be a great one for me to wish for. Certain times this year I was losing faith, but I am glad that God gave me signs to let me know he was still there. Everyone always needs a little faith. I love that you switched it up for this post! I agree with you on compassion big time! And remembering the true spirit of Christmas, I feel like there is a lot of negativity this time of year, it’s so bad that I avoid going to stores that I frequent other times of the year because it is honestly too scary! If we could all just be a little kinder to one another I think that would go a long way. I love your thoughtful take on this. Have a great weekend (and end of the year). I agree with you on all of these, especially peace and compassion. All I have to do lately is open up my facebook feed and I’m confronted with nothing but hate and intolerance for others. These wishes are far more important than anything material. We are definitely living in trying times these days, so I really appreciate your list. The barrage of bad news we’ve received this year has been very difficult to wrap my head around, and I just hope that next year finds us all filled with more hope and love. Thank you for sharing! Late to respond, but I love your list!